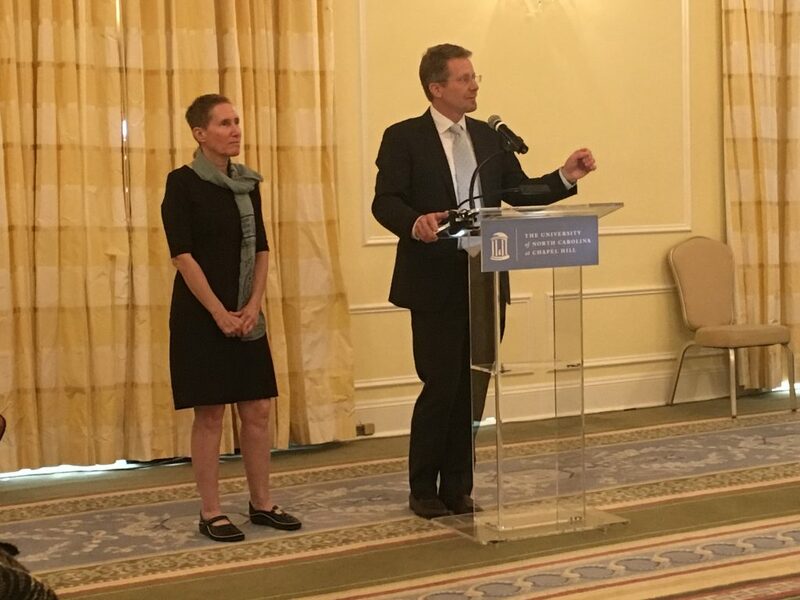 Jodi Magness (Kenan Distinguished Professor in the Department of Religious Studies) was honored at the UNC Board of Trustees January 2017 meeting for her stellar work as an archaeologist and her role in the National Geographic television series, The Story of God with Morgan Freeman. The show premiered on April 3, 2016, on the National Geographic Channel. Watch a video clip from the episode where Jodi talks with Morgan about Jerusalem’s Church of the Holy Sepulchre, the site where Jesus is believed to have been both crucified and buried. Learn more about Jodi’s work at her website. Dean of Arts & Sciences Kevin Guskiewicz introduces Jodi Magness at the Board of Trustees meeting. 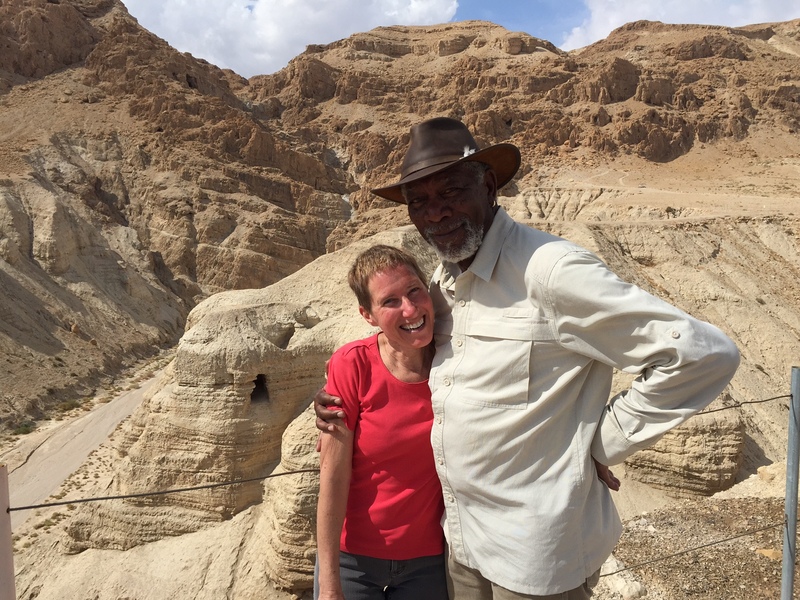 Jodi Magness and Morgan Freeman at Qumran, the site of the Dead Sea Scrolls.